With Frozen mania in full swing, it would seem as though Central Florida’s, Walt Disney World is headed due north (if you squint, the Florida peninsula looks a lot like Norway on a map). Thousands upon thousands of families (we’re one of them!) are coming to the House of Mouse, to stand in line for up to five hours just to meet Anna and Elsa at Disney World. I don’t know about your family, but for mine, the less amount of time we spend standing around waiting at Walt Disney World is more time spent having fun! But can you really cut down the time it takes to see these highly coveted Frozen princesses up close? You betcha! These tips should help you enjoy the sisterly love of Frozen at Disney World and minimize the wait and stress. 1. Meet 'n Greet in Magic Kingdom – For a character meet and greet and a chance for your kid to get their very own photo with Anna and Elsa, go directly behind Cinderella Castle in Princess Fairytale Hall. The meet and greet starts at 9 am and finished up at 11:30 pm, so you’ll have plenty of opportunities throughout the day to make it out there. 2. A Frozen Sing Along Celebration in Disney’s Hollywood Studios – It’s like being part of the movie itself! Frozen characters reenact scenes from the movie and you get to be part of every song, singing along with hundreds of other fans. The show is located adjacent to Lights! Motor! Action! on The Streets of America. 1. Reserve in advance with FastPass+ – If meeting Anna and Elsa at Disney World is one of your top priorities, you should absolutely try to reserve in advance using your FastPass+. 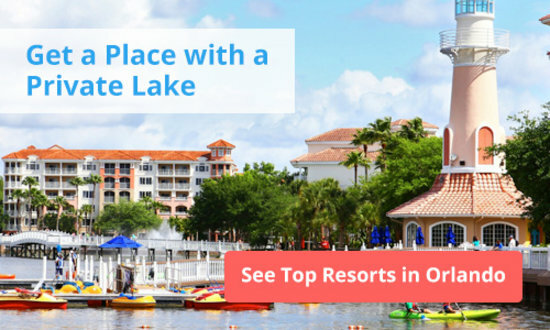 You can scheduled this magic moment up to 60 days in advance of your trip if you’re staying at a Disney resort. This will save you a ton of time in waiting for one get those special autographs. For guests staying off-site you can reserve 30 days in advance. Go to the official website on day 60 or 30 for the best chance of locking in the best time for your family. 2. Get there first thing in the morning – No FastPass+ selection? Want to meet the girls twice in one day? Rope drop at Magic Kingdom is the best time to get there. But please note! Lots of other families have the same idea, so much so, that WDW cast members form a human barricade to stop any pushing and shoving that may occur during the rush. There’s no reason to run for it, so take your time and walk their safely. No Disney Princess is worth making enemies over! 3. Get there at the end of the day – Right before Magic Kingdom closes is also a good time to meet Anna and Elsa. By now, most kids are pooped from a long day at the parks, and families don’t want to stand in line any more. If your family has the energy, or if you arrived at the park later in the day, head over to Princess Fairytale Hall before last call. You can always ask a cast member when that will be and they’ll be happy to help. 4. Go during the lunch rush – Hungry bellies means more families are busy grabbing lunch. Tip: eat an early lunch around 11 am (my family is always hungry early anyway compliments of all the miles of walking) and line up during the lunch rush from 11:30 am – 1 pm . 5. Have fun and keep checking back – Before the My Disney Experience app, if you didn’t want to wait in a long line, you’d have to keep walking back to the attraction and check the wait time board at the entrance. Now, even if you’re clear in Adventureland or just got off the Tea Cups, you can save walking time and energy by logging onto the Disney World wait time app. All Walt Disney World parks have free wifi, so it’s a snap and will give you updated waits for the Anna and Elsa meet and greet line. Don’t want to log on to My Disney Experience? Hang around and do the rides and attractions near Princess Fairytale Hall and keep checking back. For more great tips on parenting and educational adventures check out Kayrn's blog Sand and Snow...and Everywhere in Between! You can also view her tips and tricks to vacation planning on TravelingMom. Karyn Locke is a traveler at heart. A former military brat who caught the travel bug at a very early age, Karyn loves road tripping with her family and writing about her travels from small town Ohio at Sand and Snow...and Everywhere in Between! Her passion for all things Disney can be seen in her blog as well as on TravelingMom where she shares tips and tricks to successful vacation planning. You spin around in oversized tea cups in this Alice in Wonderland themed ride. If your daughter is ages 2-10, this meet and greet with Anna and Elsa may just make their vacation. Lines are long! So come early, late, or at lunch time.